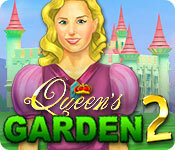 Queen's Garden 2 is rated 4.3 out of 5 by 31. Rated 5 out of 5 by iou001 from Queen's Garden Game-a-thon I have played all of the series of Queen's Garden games and have come to this conclusion. Queen's Garden Christmas and Queen's Garden 2 are my favorites. I hope the next series has the walkways, hummingbirds and ponds that Queen's Garden 2 has and the variety of items and scoring that Queen's Garden Christmas has. It seems that in Queen's Garden Christmas that I make more money quicker to buy things. I love that. I wish they had a larger variety of trees to plant. I love the trees in Queen's Garden Sakura Season. I'd like to see pets in a game too like the black cat in Queen's Garden Halloween. Did I say how much I love the ponds? And I love having the benches for my little guests to sit on and enjoy the view. My least favorite part of the games are trying to move tiles/butterflies around unmovable tiles. It took me over a half hour to move one tile on one of the levels. Can I suggest adding different types of fencing to buy to put around our gardens? And maybe a dog park? Oh... And can you make them where you can reset the games we've played without losing our money? I have a tendency of forgetting which level I'm on after I've played them all. I love these games. I cant wait for the next ones. Rated 5 out of 5 by lbtgam222 from Never Ending Game! This is a really cute match 3. I built a really pretty garden and it didn't stop. I could rip it out and replace at will. Really worth a free coupon! Nice, fun and relaxing, no pressure except for the grass! I wish my front yard was so easy! I think I'll try to use this game to make a plan for my front yard. As always. play the demo and decide for yourself! Rated 5 out of 5 by brainfart1231 from Very Relaxing I was just wondering how many levels there are in this game as I am now at 162 and still going, even though my garden is done. Rated 5 out of 5 by angelsfish from This is game requires no extra spending! I love this game. You can can play for hours. There are so many levels to play. It doesn't required you to spend any extra money to play like most games. I am up to level 257! It is fun to keep playing the levels even though my garden is done. I highly recommend this game. Rated 5 out of 5 by CheyenneStar from Great Match 3 Game I really loved & enjoyed the game!! The match 3 is fun and challenging. Ii has over 130 levels so worth the money. You get to build a garden with plenty of space for building. You can also play timed or casual. I definitely recommend this game. Check it out & enjoy it!! Rated 5 out of 5 by McClellanFalk from So many levels! Love this game so much that this is my first review. 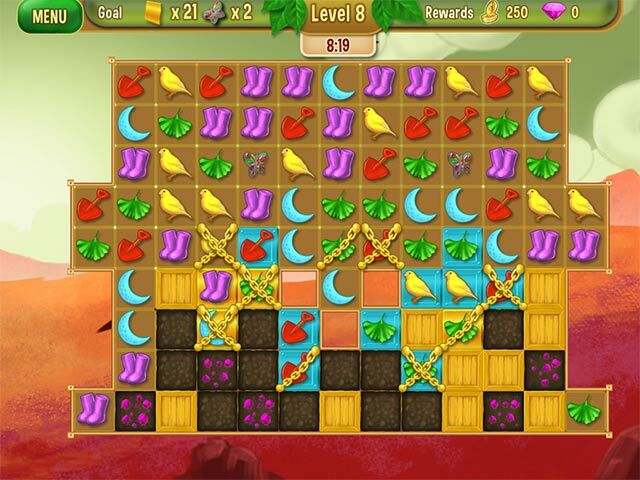 The levels are challenging and there are more than 200 levels. Rated 5 out of 5 by hawkpaul from Got hooked on this I loved this game. 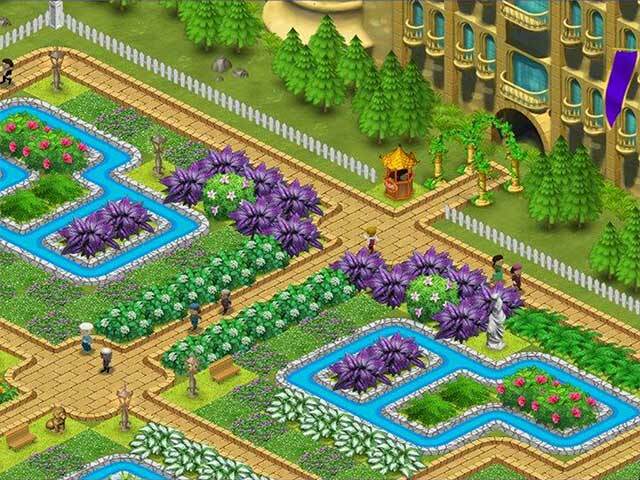 Building a nice looking garden became a challenge and the match 3 plays well so it became quite addictive. This is better than the first queen's garden. I've now gone through all the levels but can still continue playing to add things to the garden. Great game. 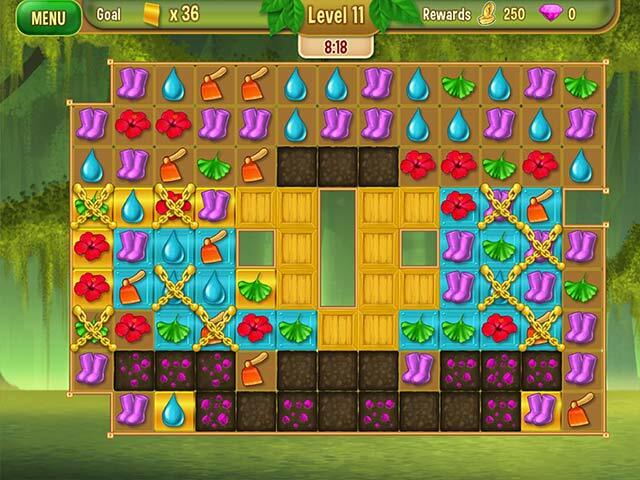 Rated 5 out of 5 by berrymama from Loved this M3 similar to Gardenscape Great M3 game! You are building the Queens garden. Beautiful graphics, the music is nice, and there are wonderful humming birds that are wild and remove the all the cards of one kind! Coins are easy to get and you use them to buy garden things. Overall it’s a truly enjoyable and relaxing game. A great game for the whole family! Only played the demo and will buy it NOW! Nice to have a game to ‘just’ play for fun!